Khartoum: Sudan’s military rulers have transferred ousted president Omar Al Bashir to prison, a family source said Wednesday, as demonstrators keep up their sit-in outside the army complex calling for a swift transfer to civilian government. 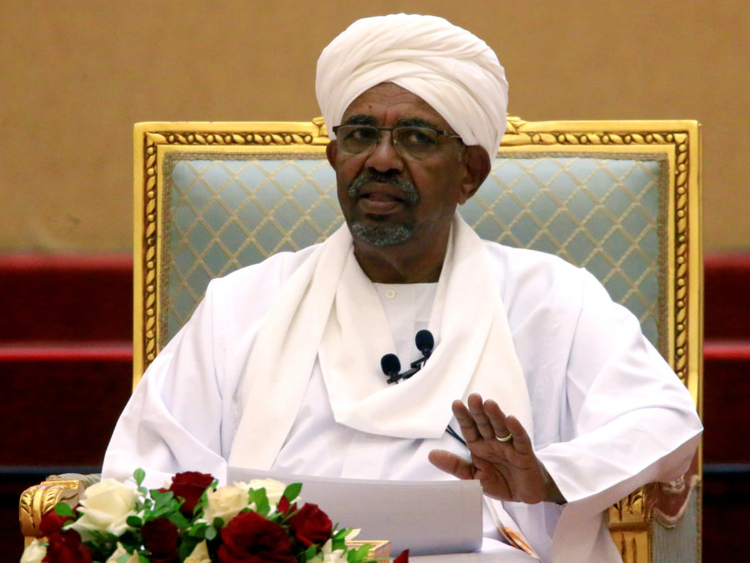 Following the dramatic end to Al Bashir’s rule of three decades last week, he was moved late Tuesday “to Kober prison in Khartoum”, the source said without revealing his name for security reasons. The detention of Al Bashir has failed to pacify protesters, who launched anti-government demonstrations in December and have for days been camped out in front of Khartoum’s army headquarters. Sudan’s military rulers have made some concessions to protesters, including the sacking Tuesday of prosecutor general Omar Ahmad Mohammad, but demonstrators fear their uprising could be hijacked. “We faced tear gas, many of us were jailed. We have been shot and many have died. All this because we said what we wanted to,” protester Fadia Khalaf told AFP. “Now we fear that our revolution could be stolen, which is why we are keeping our ground here. We are staying here until our demands are met,” said Khalaf. His successor General Abdul Fattah Al Burhan oversaw weekend talks with political parties, which failed to make headway. Sudan’s foreign minister has said Al Burhan is “committed to having a complete civilian government” and has called on other nations to back the council. Meanwhile, Sudan’s ruling Transitional Military Council ordered the central bank to review financial transfers since April 1 and to seize “suspect” funds, state news agency SUNA reported on Wednesday.